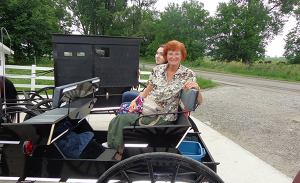 Taking a ride in our Amish buggy-maker friend’s open buggy. 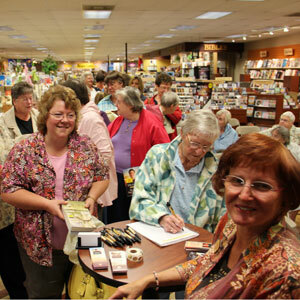 Wanda signing books for Illinois fans. 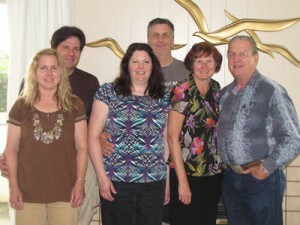 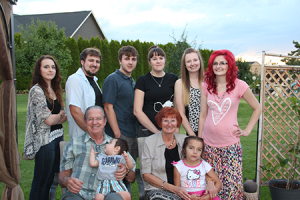 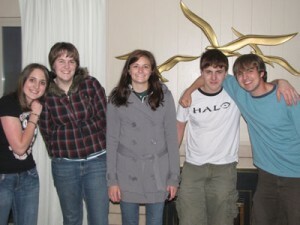 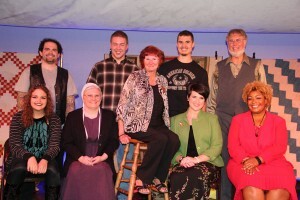 Wanda with the cast of the Half-Stitched musical, based on one of her Amish novels. 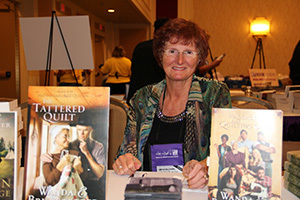 Wanda washing dishes in an Amish friend’s home after having had supper together. 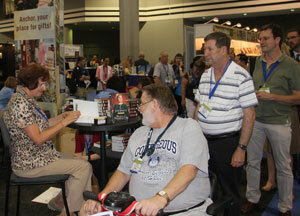 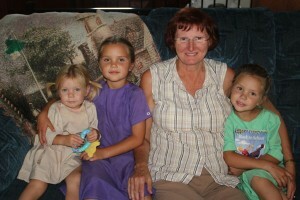 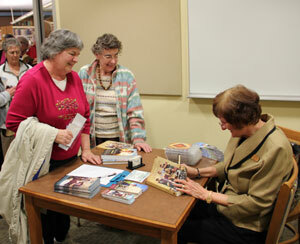 Wanda and some of her young Amish friends enjoying her Rachel Yoder children’s books. 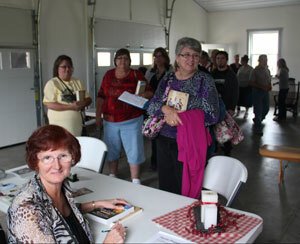 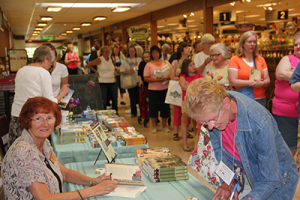 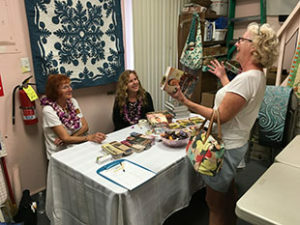 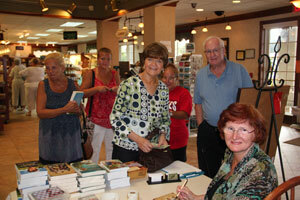 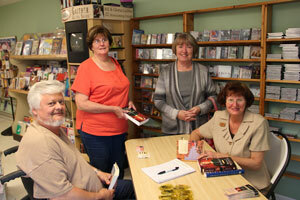 Wanda signing books in Shipshewana, Indiana. 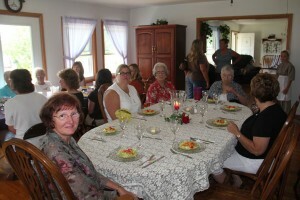 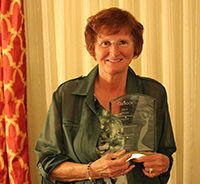 Wanda having dinner in an Amish home, following her book signing at Rockome Gardens in Arcola, IL.